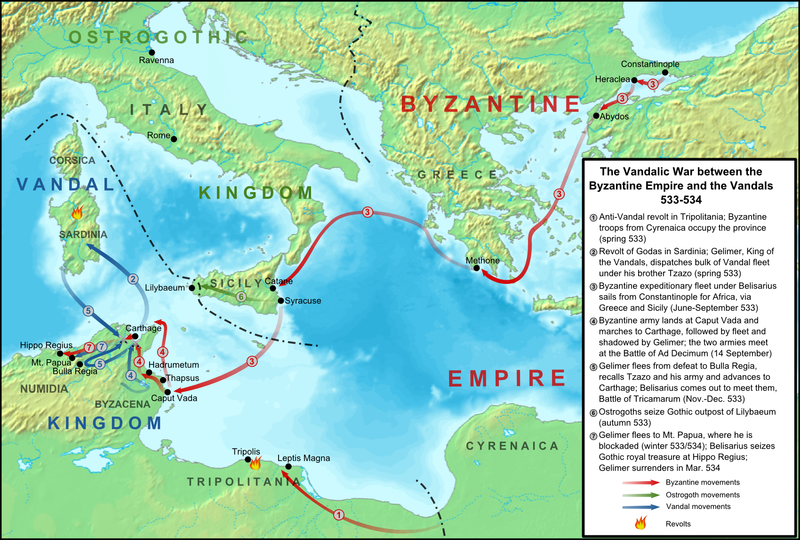 With the Nika Revolt quelled, Justinian orders Belisarius to retake the province of Africa. In the Summer of 533 an armada sets sail and lands east of Carthage. Belisarius leads his army cautiously up the coast as King Gelimer of the Vandals rallies his army to stop them. This was a great podcast as always. 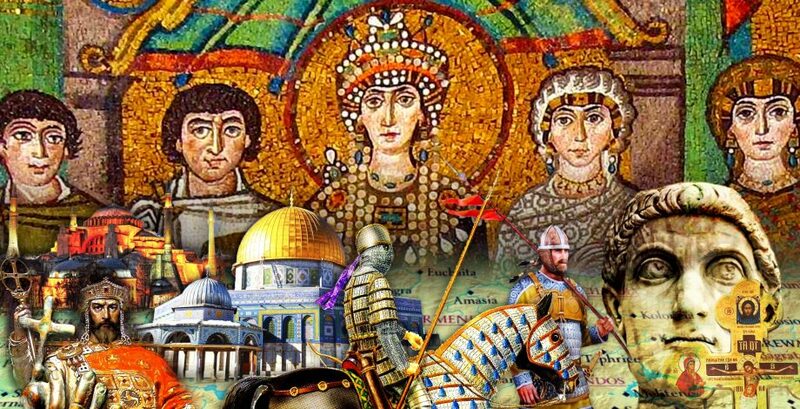 Until I listened to your podcast and did a little for reading I never realized how much of the Byzantine Armies of this Period were Calvary and made up of Mercenaries. As Robert Graves wrote in the preface for his novel Count Belasarius, what we have present during the sixth century is a cross between the ancient armies of Imperial Rome and Armies of the Middle Ages. Thus this is the intermediate stage which I find fascinating to no end. @ Josh – Definitely fascinating. On the Ancient Warfare Magazine podcast someone commented that Belisarius was ahead of his time. If he had full cavalry armies at his disposal perhaps he would have achieved even more. Anyway i just have a small question– what sources do you use? I read Gibbon and J.B. Bury and i am wondering is there any books you would recommend? Great podcast. Not-so-coincidentellay I’m in the middle of re-reading L. Spargue De Camp’s “Lest Darkness Fall,” an alternate history involving time travel set in this period. In fact, later on the 30s era time traveler gets to defeat Belisarius in Italy. Great job. I was in Istanbul last week and re-listened to the entire series before going. Are you going to keep going to the fall? I hope so. That’s great to hear 🙂 I was listening to the History of Rome when I was in Italy so am very pleased to pass that on. I hope to continue on to the very end but I will keep you informed as we go.